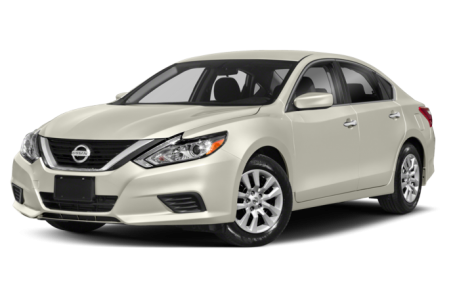 The 2018 Nissan Altima is a popular midsize family sedan that competes with the Ford Fusion, Mazda6, Honda Accord, and Toyota Camry. Under the hood, the Altima is powered by a standard 179-hp, 2.5-liter 4-cylinder engine mated to a continuously variable automatic transmission (CVT) and front-wheel drive. The SR and SL trim levels have an available 270-hp, 3.5-liter V-6 paired to the same transmission. Four trim levels are available: the S, SR, SV, and SL.